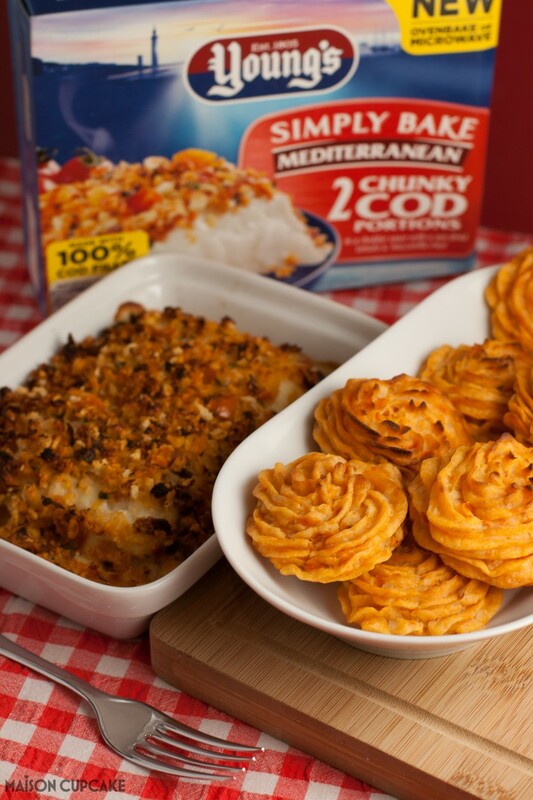 These duchesse potatoes served with Mediterranean chunky cod portions are a perfect evening meal to enjoy mid-week. 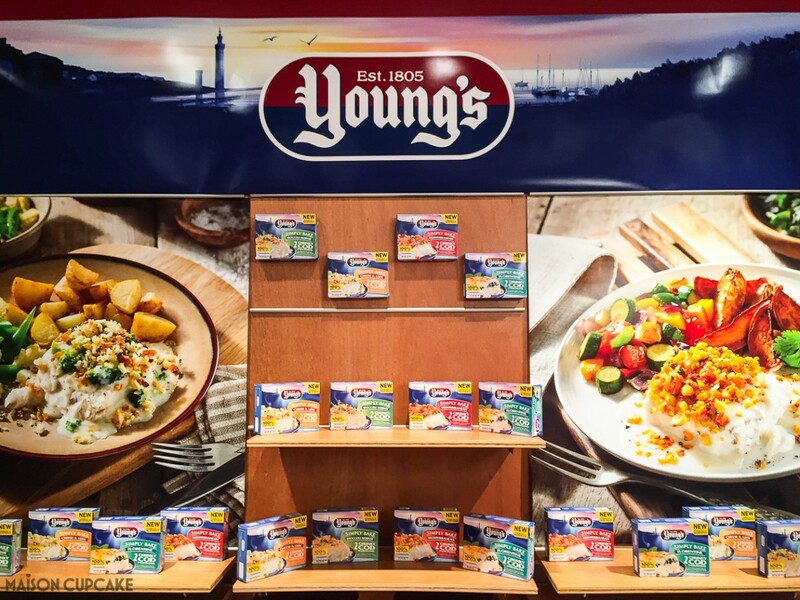 Post commissioned by Young’s to launch their new Simply Bakes range. The freezer is my friend but I seriously need a bigger one. One of the perils of being someone who cooks a lot from scratch and who works from home, is the assumption that if you go out for an evening, you will do your usual thing before you leave the house. Really? Me going out means me doing the cooking anyway even if I’m not there to eat it? This has got to end. Even foodies want a night off now and again. 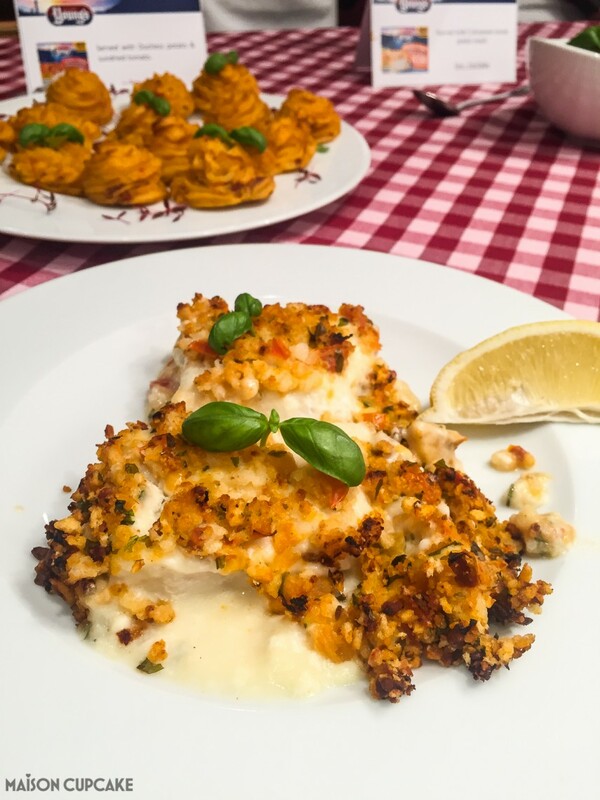 I’ve been sent a lifeline via Young’s new Simply Bake frozen range; four quick and tasty evening meals with 100% chunky cod fillet that even my husband can manage to chuck in the oven whilst I’m not there. Better still, they’re delicious enough that I’m going to feel I’m missing out unless I buy extra packs for nights I’m home too but no time to cook. Young’s asked me to come up with a new side dish to partner with one of their Simply Bake meals and I chose Mediterranean cod. To echo the Mediterranean flavours I added sun dried tomatoes to the very 1970s dish of Duchesse Potatoes. I don’t think I’d even eaten Duchesse Potatoes since taking GCSE Home Economics in 1989, they almost never appear in restaurants and I’d not cooked them since. Which is a puzzle really because they’re really straight forward to make. Simply pile mashed potato into a piping bag fitted with a wide star nozzle and pipe out some rosettes to bake in the oven. It’s that simple. If you were really scaredy cat you could cheat and just bake dollops of mash. Sun dried tomato isn’t compulsory, you could equally make them with plain mash or add something like pesto instead. The trick is to make sure they’re baked just enough to be heated through and you can move them on the baking paper without damaging them. Mine took around 15 minutes on gas 6 / 200c. 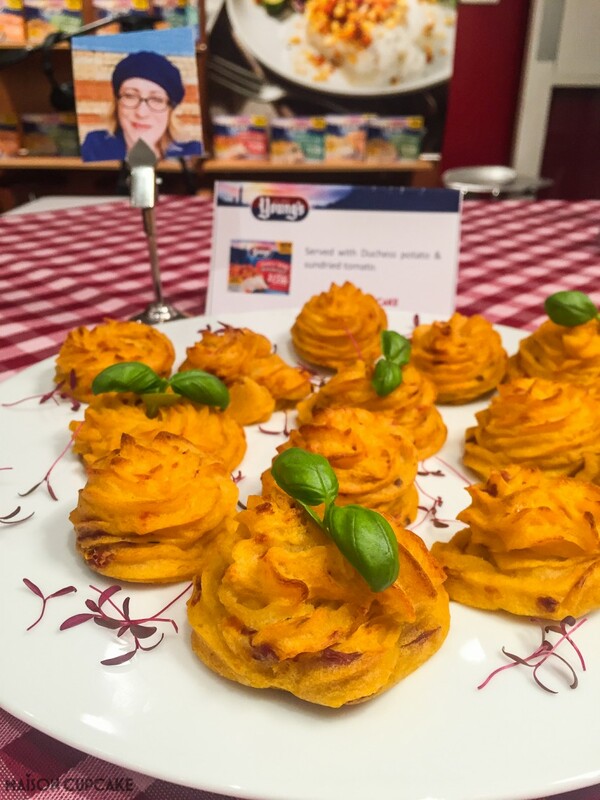 After testing this recipe in the afternoon I whizzed off out to a special Young’s bloggers’ bake off event; several of us had been invited to make our creation with Young’s chef and taste them all alongside other varieties from the Simply Bake range. 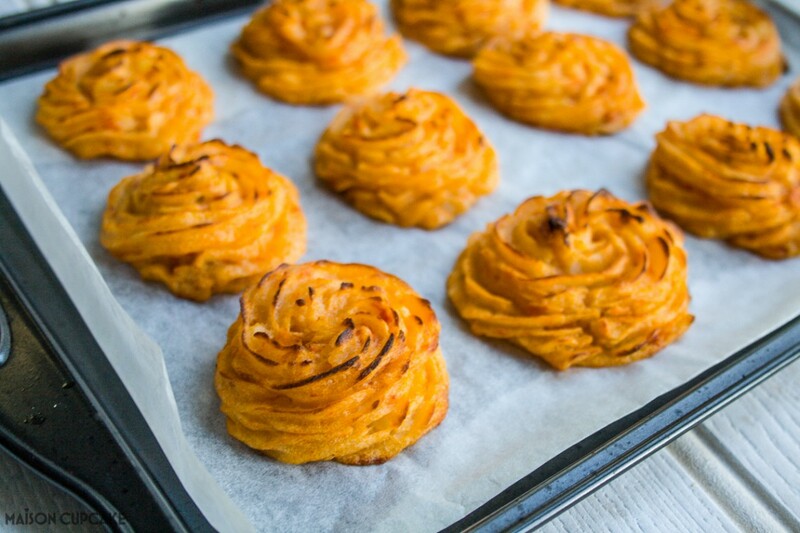 In the meantime enjoy my duchesse potatoes recipe below and look out for the new Young’s Simply Bake range in major supermarkets. You will need a large piping bag with a wide star nozzle. Fill a large pan to halfway with water and bring up to the boil. Meanwhile peel the potatoes and chop into large chunks. Boil the potatoes until soft - around 15 minutes - then drain and return to the pan. 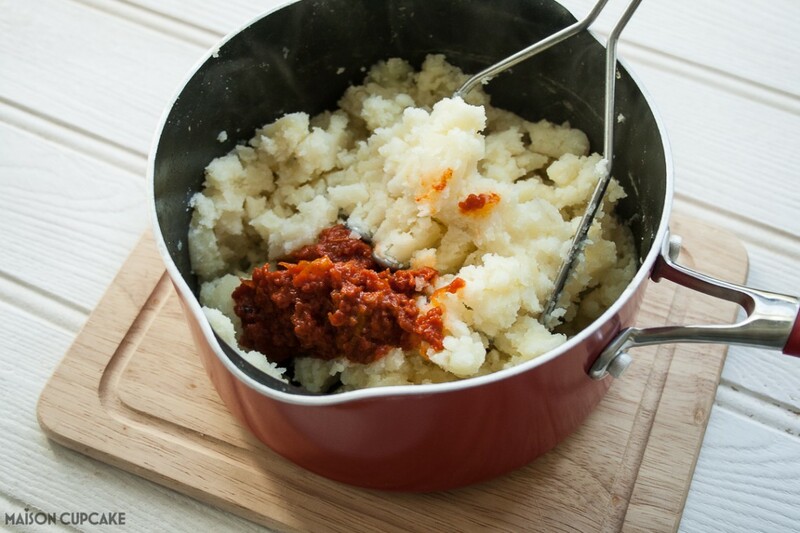 Add the sun dried tomato paste and butter and mash thoroughly until smooth with even colour. Fill the piping bag with the potato mix. 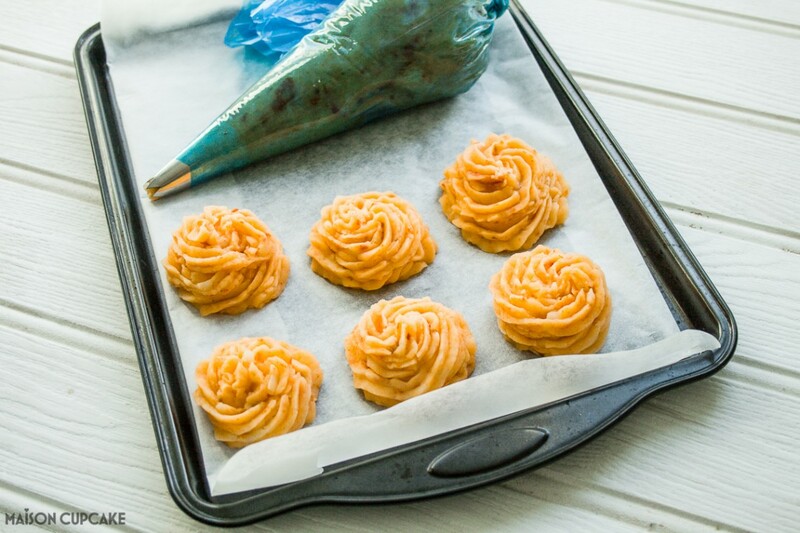 On a large baking sheet lined with non stick baking paper, pipe 8cm wide rosettes of potato in rows. Bake for 15 minutes until gold and crisp. When they're done you should be able to lift them from the paper without damaging them. Serve immediately. 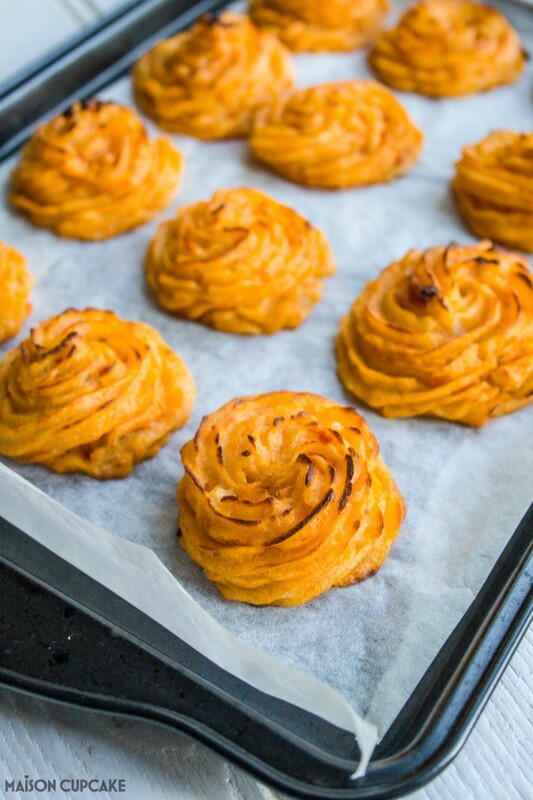 Alternatively, you could freeze the unbaked potato rosettes to bake a few at a time as required. 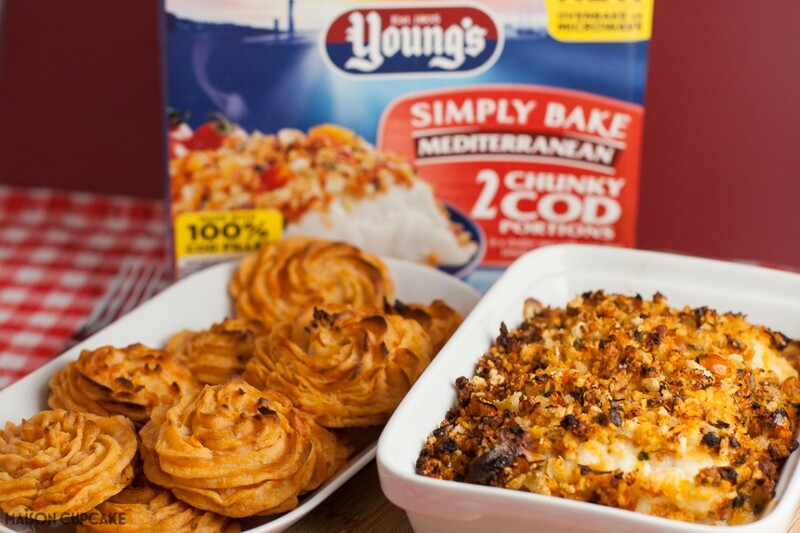 This duchesse potatoes recipe post was commissioned by Young’s to launch their new Simply Bakes range of frozen cod meals. Find out more about Young’s via Facebook, Instagram and their website. I loved your colourful and tasty duchesse potatoes! I wish food weren’t so prone to the fashion police, no reason for these to have fallen out of favour after the seventies when they are so delicious!